Would you buy the Samsung Galaxy Note 9? The Galaxy Note 9 is now a reality. Samsung has presented its new flagship before consumers, extolled its virtues and named its price. We've had the chance to give you our first impressions in the hands-on article, but many things remain to be tested in-depth. We'll put to you plainly the question that Samsung implied: would you buy it? It's not so easy to say "yes" to that asking price of $999.99 (for the 128 GB model), much less $1, 249.99 (for the 512 GB model), but Samsung is offering a lot to tempt us with. Not only do we have the Bluetooth enabled S-Pen with expanded capabilities, but the Note 9 will have top-of-the-line specs for maximum performance, the best display on the market thanks to Samsung's signature Super AMOLED tech, and a much improved battery. Then there's the throwing in of a pair of AKG noise-canceling headphones ($299 retail value) or the Fortnite Galaxy skin with 15,000 V-bucks ($150 retail value), for free (you can also buy both for $99). Would you buy the Galaxy Note 9? The Galaxy Note 9 is available to pre-order from Verizon, T-Mobile, AT&T, U.S. Cellular, Xfinity and of course directly from Samsung. The cell carriers will have their own incentives to tempt you to buy from them, too. For example Verizon is offering a limited time BOGO deal on the Note 9 through its payment plan. Generally, unlocked phones from the manufacturer work out cheaper in the long term, but may take longer to receive updates (at least in the US). Will you be buying the Galaxy Note 9? If so, what convinced you? I have the S9+ and I'll pre-order S10+ as soon as they announce it. I'm always skipping note line. 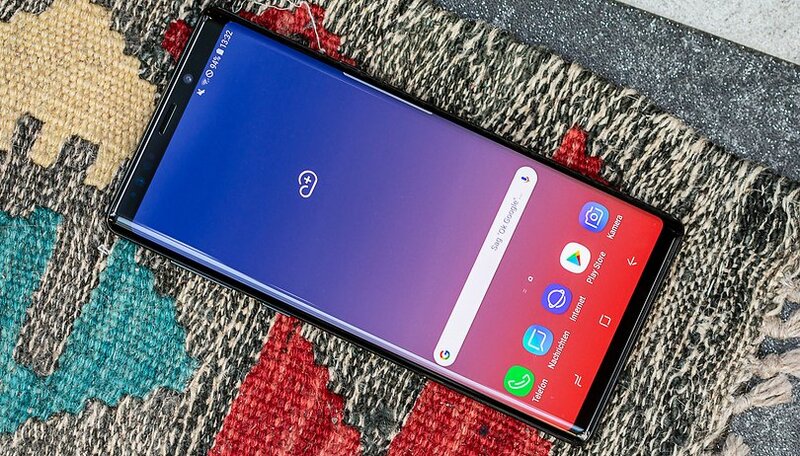 I wish I could get this note 9 but I have the N8 I'm gud for now if you have a older phone and you want this N9 I say hell yes it's worth it by far, I love my N8 to death to have all that plus more on th n9 do it ! Anyone who pays the price for samsung note9,must be barking mad. No super innovation. have improved battery but price is high. I am a fan of Samsung note series since note2 and still using galaxy note 4 after this no note given me a reason to upgrade. And after buying Iphone X early this year became a fan of Apple, and will wait for next iphone X bigger than this. If I have to spend more than $1K than Apple i will prefer and use note4 along with. Otherwise Xiomi, oppo or vivo has more innovation. £1000.00 + for a feckin phone.... This is something that should be unacceptable - they are trying so hard to match Apple 💩 - The new normal - it's now £60 p/m for the S9 on contract. My S7 is looking good for another couple of years, but when it comes to upgrade to say S10 I will have to pay over a thousand pounds for nothing different from the S7 - no huge technological leap - its not coated in gold or diamonds - ok it will have a little more RAM a slightly faster processor and.... Nothing, nothing more, nothing different... Oh wait it might not have a bezel, well silly me of course it's worth the money. Not for me. I am either pixel or OnePlus customer. TMO is giving me $500 for my old S7. Samsung throws in a $300 headphone set on top of that. Hell yeah. Come to papa!! My last note was the 4. Since then, Samsung took a different approach and turned their professional devices to a Galaxy S clone, with the addition of the S pen. Modern Notes have terrible screen ratio (for a note-taking phone), they are fragile, way too narrow and tall and have that edge screen, which I dislike. Not for me anymore. The upgraded s-pen is very nice. The 512gb model is also very nice as with the 4000mamp. But the 1,000 dollar price is not very nice. I firmly believe the sales of the note will struggle just like the s9series.